There is some thing that are the most important things about our company and that are our core values. It´s not only the values of our products it´s also the values of how we want to run our business. Quality – All our products are made in the best quality that we could find. That means that they can be used year after year without any quality lost. It also mean that we choose quality in all things we do. We want to provide the best quality of service to our clients, and whant you to be sure that Monimo is a trustwordy company. Function – As a working mum function is of high imortance, our products has the purpose to make things easier for you in your daily life. Design – We want our products to look good and have the perfect function without loosing it good looks. We hope you like what we do! On our website you can read more about us and our products. Welcome! Actually I like all month but august is probably closest to my heart. The water is warm. One year we had 24° C in the lake we love. The garden is full of flowers and it´s time to pick the apples and everything else I have grown. And ofcourse those lovely late summer evenings. When you just want to cuttle up in blanket in a chair on the porch, watching the sunset. 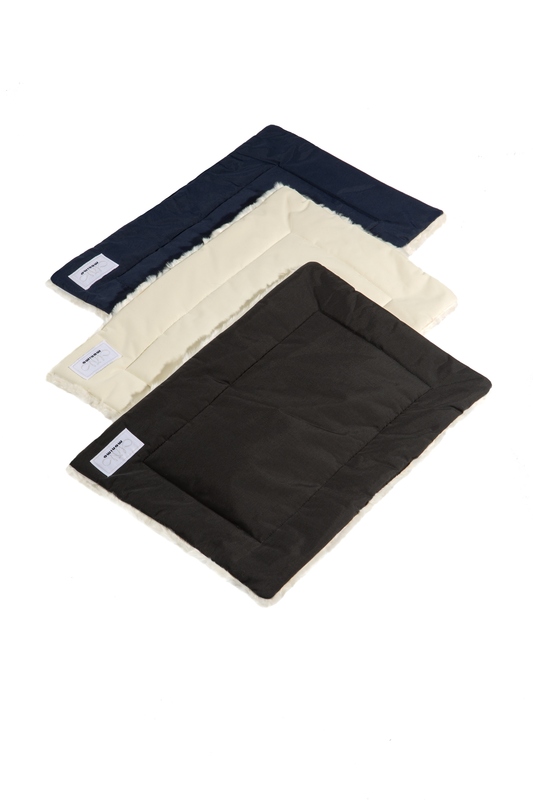 if you are curious about our luxury wind and waterproof faux fur blankets you find more information here. The climate in Sweden is devided in four seasons and it´s very different from eachother. Something that most of the Swedes are very happy about and appreciates. 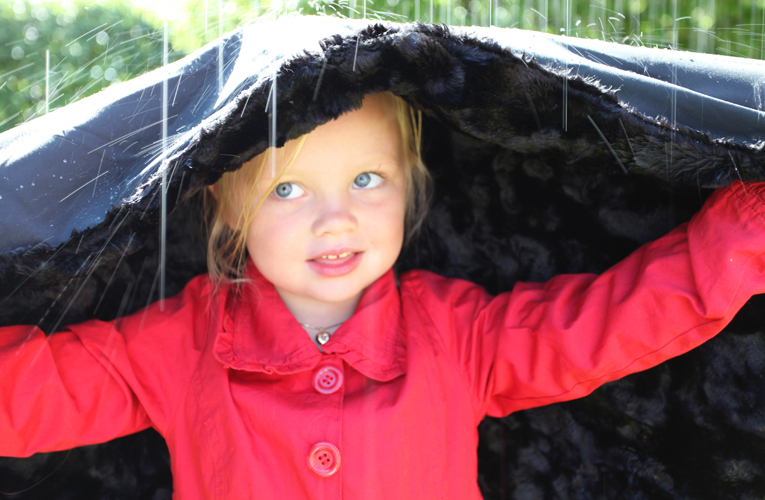 Most of Sweden recives somewhere between 500 and 800 mm of rain- or snowfall every year. That makes Sweden drier that the global average. It´s the southwestern part of the country that receives most along with some montain areas in the north. When the weather gets colder the rain changes in to snow. Monimos different products are all waterproof. Our products have a water column of 5000mm. It means that the withstand pressure of 5000mm water on a surface of 1mm. We have done several tests of the water density. 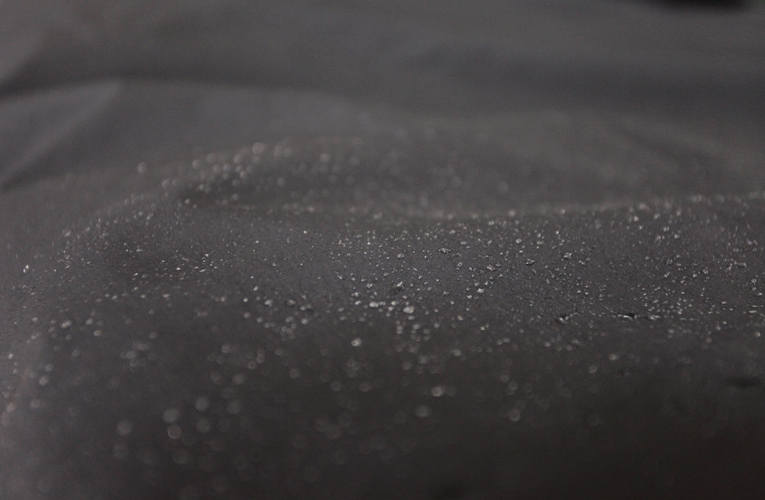 If you pour a jug of water onto the blanket, it just runs off leaving your blanket totaly dry. Please find more of Monimos different products at our website. There are some important things to know about midsummer in Sweden. First of all, midsummer is probably one of the most important holidays in Sweden. You can imagine, after the long cold winter, the Swedes really celebrate the light and sun coming back. 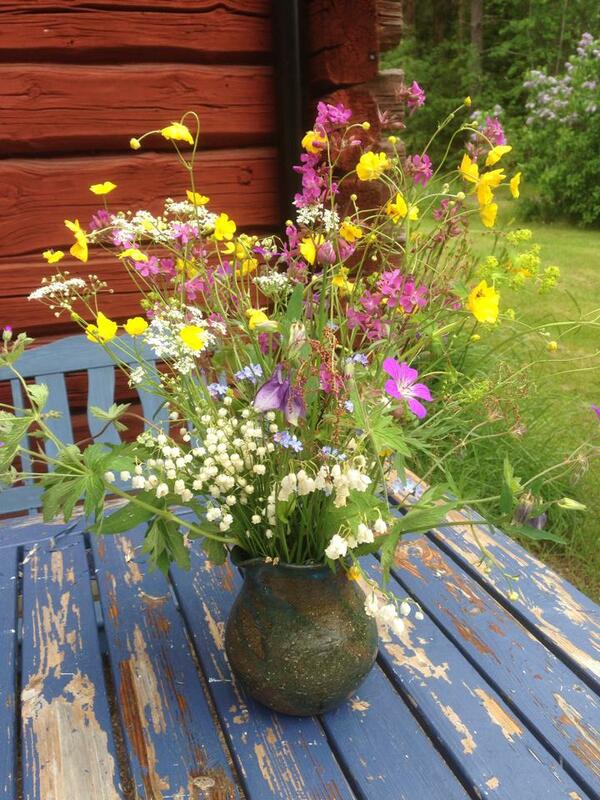 The midsummer is always celebrated on a friday somewhere between 20-25 of june. And sometimes it actually is the same day as the Sumer Solstice. On the northernmost latitudes, that is North of the Arctic Circle, the sun does not even go down below the horizon and even further south it is light the whole night through. 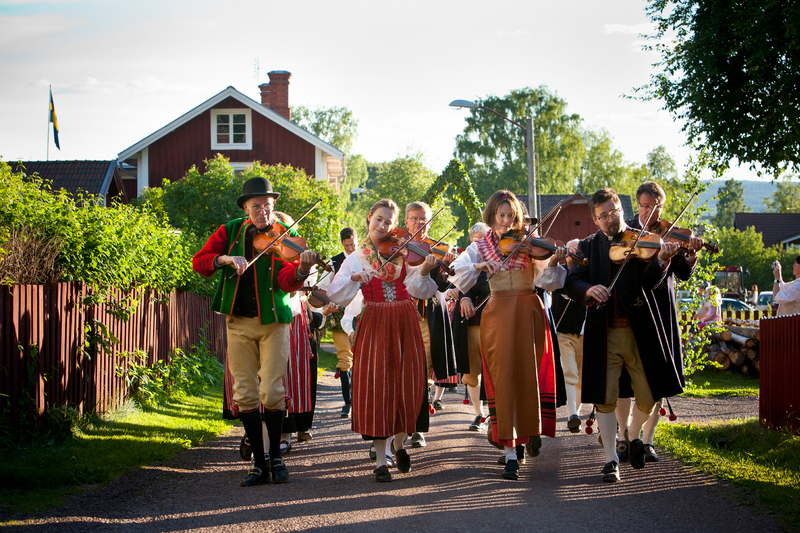 The way Swedes celibrate is basically a family matter and you can make your own rules about how it should be celebrated but there are some things probably all Swedes agree needs to do be done to make the midsummer celebration a real one. Depending on where you are in Sweden midsummer is celibrated differently. But if you decide that you sometime whant to spend time in Sweden during midsummer there is actually only one choice. And that is to visit Dalarna, a community in the middle of Sweden. But beware, check first which day they celibrate midsummer. In some villages they don´t celibrate on midsummers eve that the rest of us do. Instead they celibrate on midsummer day. 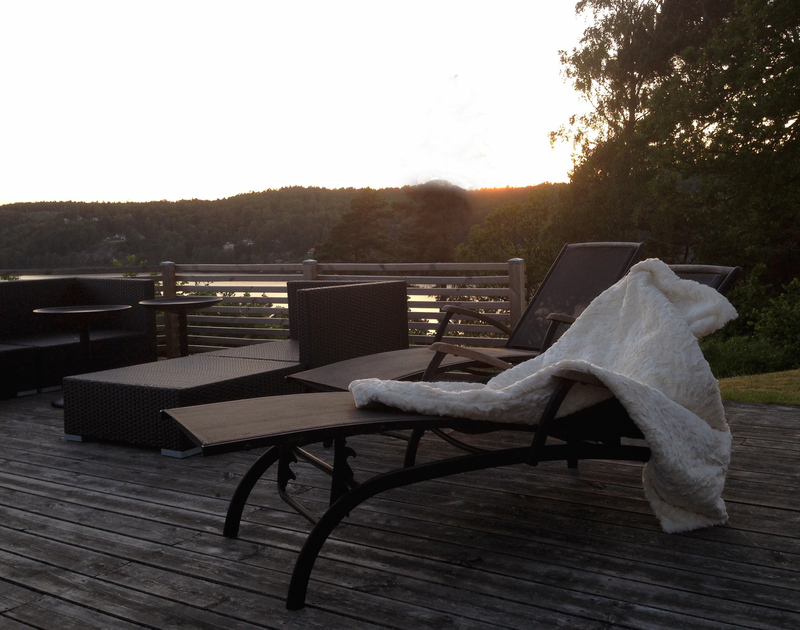 Most Swedes go to their summer houses or at a friends summer house during midsummer. We Swedes also have this romantic feeling about what a real midsummer should be. Almost all communites have some kind of arranged midsummer celebration inkluding maypole and music where everybody are welcome. 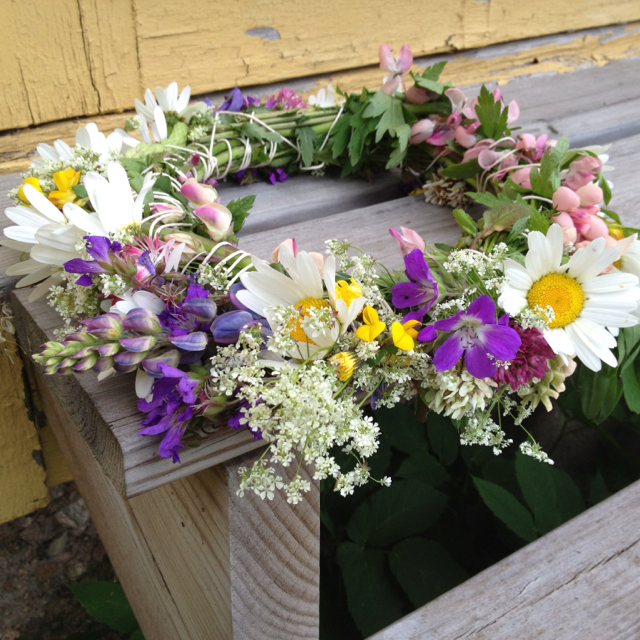 In some communitys, especially in Dalarna, everybody go out and pick the flowers to the maypole in the morning and making the wreaths together. A very nice tradition. At lunch the Swedes often eat Silllunch (if you try to translate that you probably would call it Pickledherringlunch) And it´s as it says, a lunch with pickled herring, new potatoes and snaps. 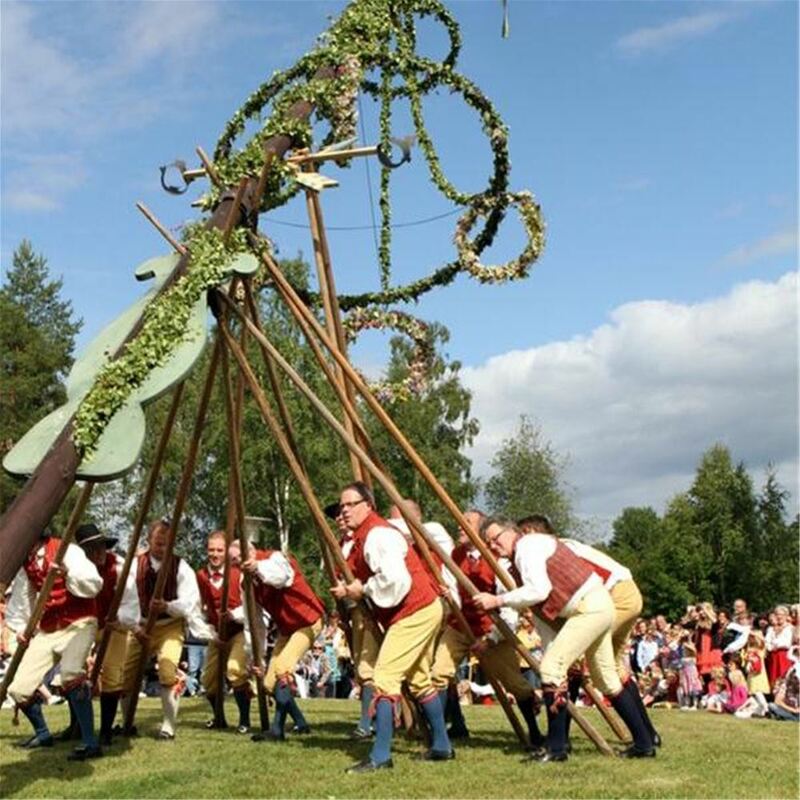 The maypole is the symbol for midsummer and one of the most important things during the celebration. And here is where we do our famous dance ”små grodorna” and other funny dances that no one except a Swede would understand. The maypole may look different in different parts of Sweden. You have them both in your hair and around the maypole. Picture: Tatiana Temm från Pinterest. One of the song that we always sings when we dance around the maypole. Here it is… both in Swedish and in an English translation so you all know what we are singing. Koack, ack, ack, ack, aa. no tails do they possess. Kou, ack, ack, ack, aa. 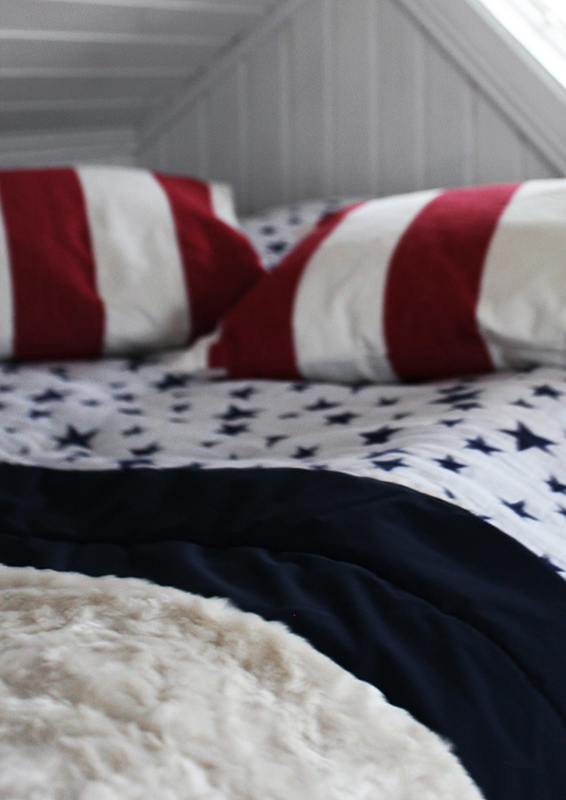 After a long day of fun, food and dance and it´s time to hit the sack… it´s still something you do first. 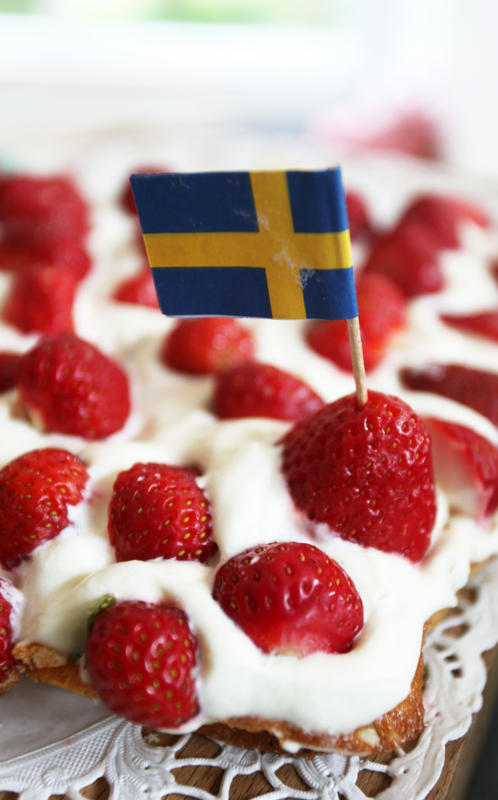 The picture is from tryswedish.com a exellent place to read more about swedish food. 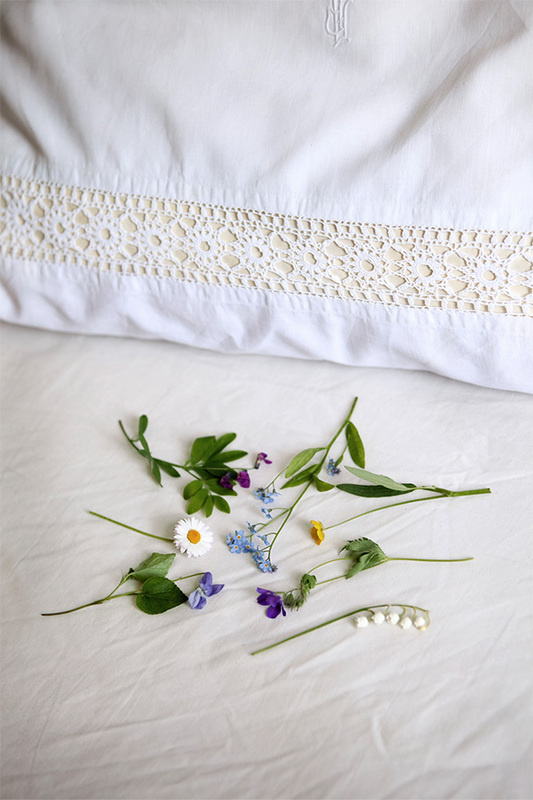 Just before time to go to bed children and the unmarried pick flowers to put under our pillows to dream about who to marry. Some pick them in silence as as they say – broken silence is broken magic. I hope you liked the text. Me, im going to Dalarna ofcourse 🙂 Eating pickled herring and wear my midsummer wreath with pride. 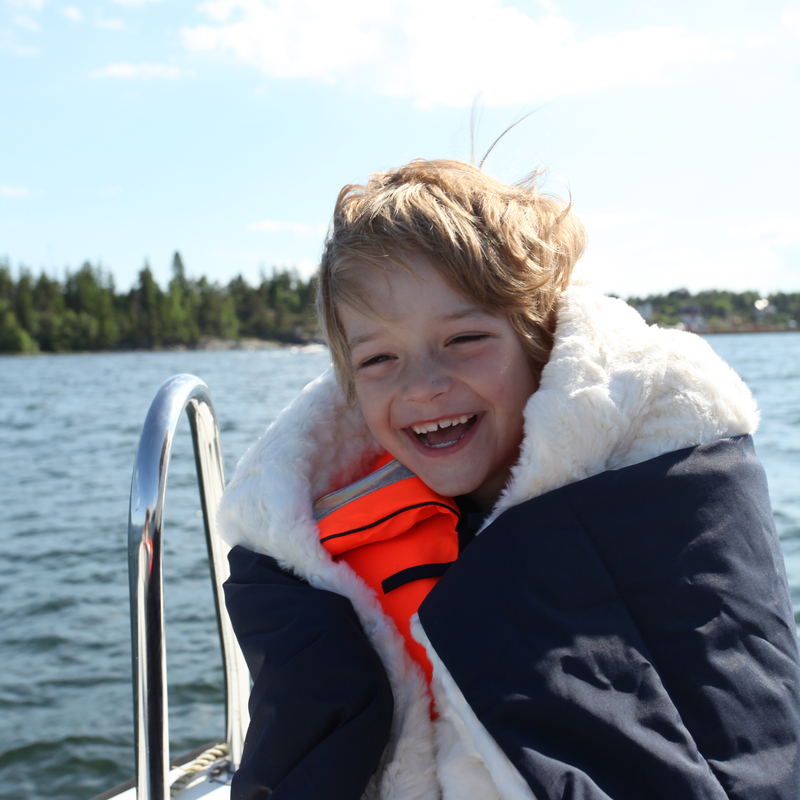 If you want to know more about Sweden and places in Sweden to visit, please read my blogpost about the Stockholm archipelago. 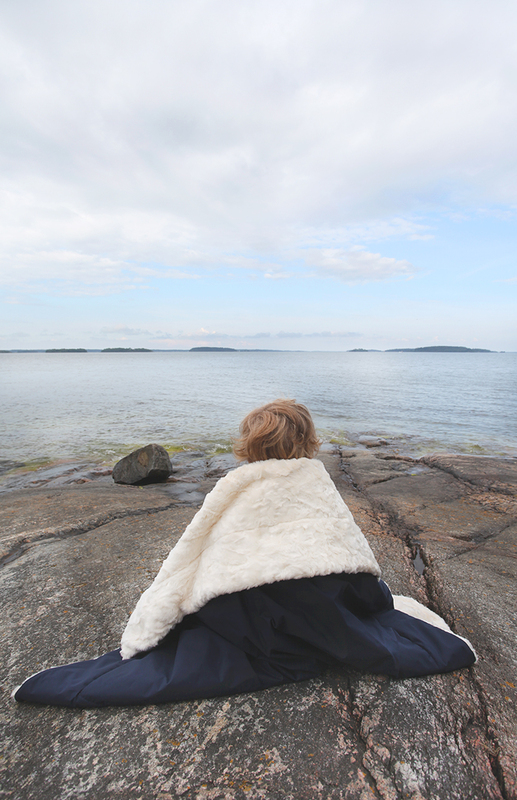 If you don´t have the chance to go to the beautiful archipelago of Stockholm. Here is a chance. I can´t think of anything better than just look at the ocean. 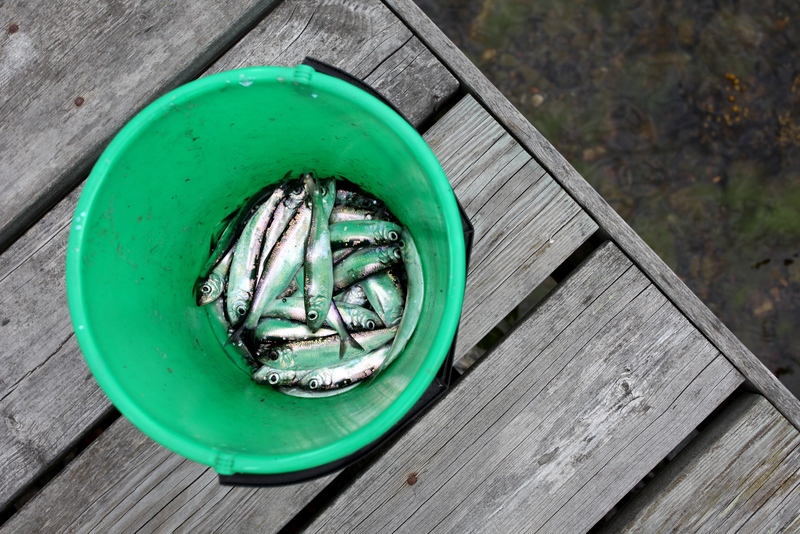 During the spring and early summer, geting a chance of strömming is very good. Strömming, also known as Baltic Herring. We just fry them in butter and eat on a piece of knäckebröd. 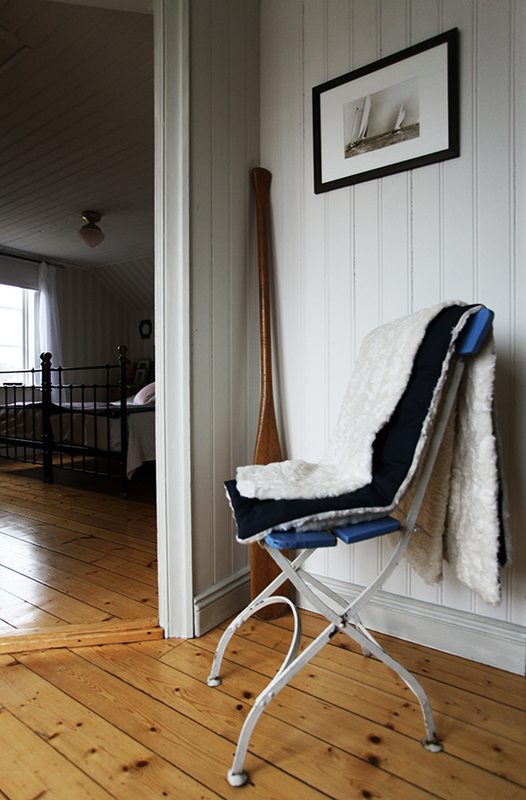 Here in Sweden we love to sit on our Brygga and just relax. Those long summer nights are for real. And if it´s start to get a bit chilly. Just wrap yourself in one of these. 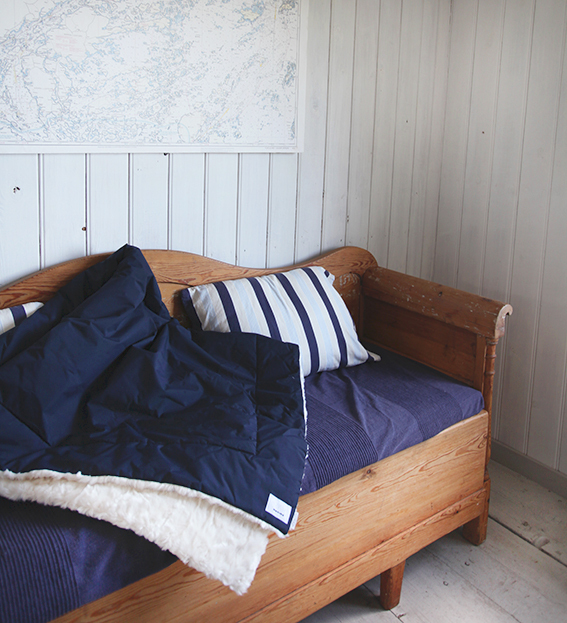 In the Swedish country house we love to go all in on our marine style. 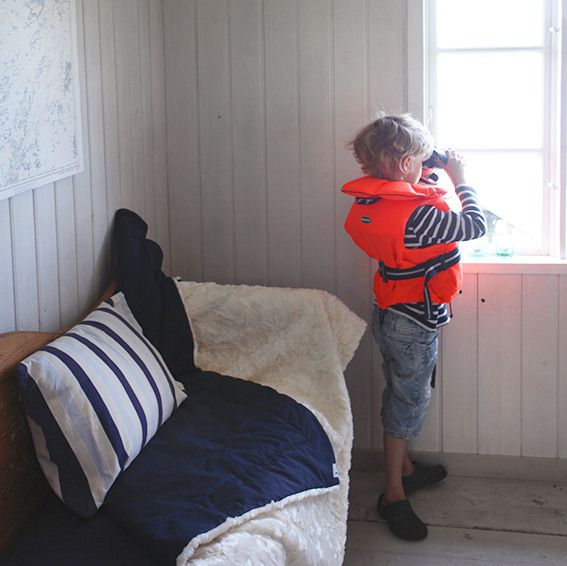 Almost everywhere in the Stockholm Archipelago you find the most cute small cottages by the ocean. 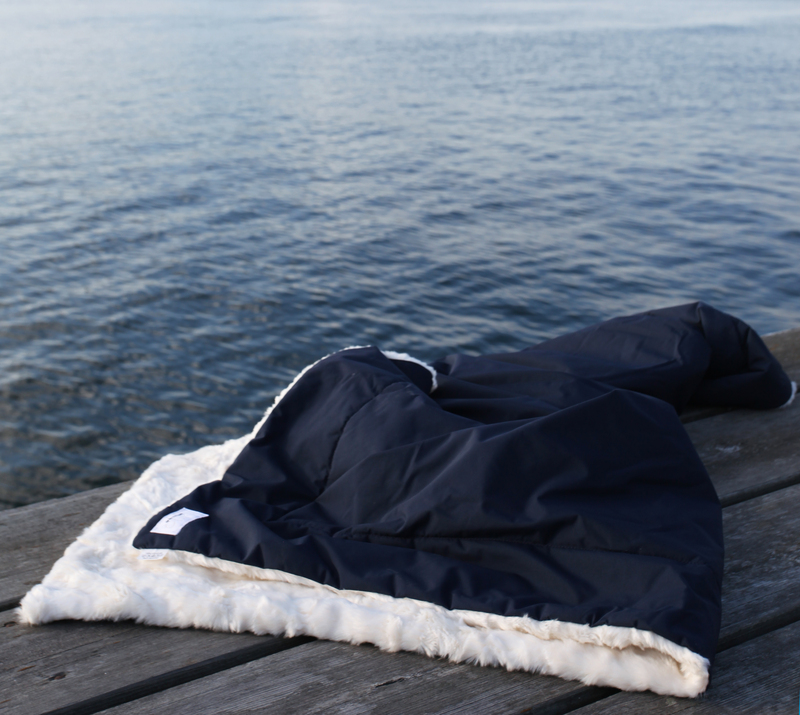 It´s called sjöbod, boathouse and there is where you put your fishingnet or your friends visiting. A tip is to buy a large cart of the area you are living and put it on the wall. Binoculars and life jacket. Never go without them. White, blue and some red. All you need in these archipelago houses. Monimo Pets. For dogs, cats … and rabbits!? I had the most lovely weekend visiting one of the shops that features my Monimo Pet Blankets. They had a big reopening with a new location of the shop. 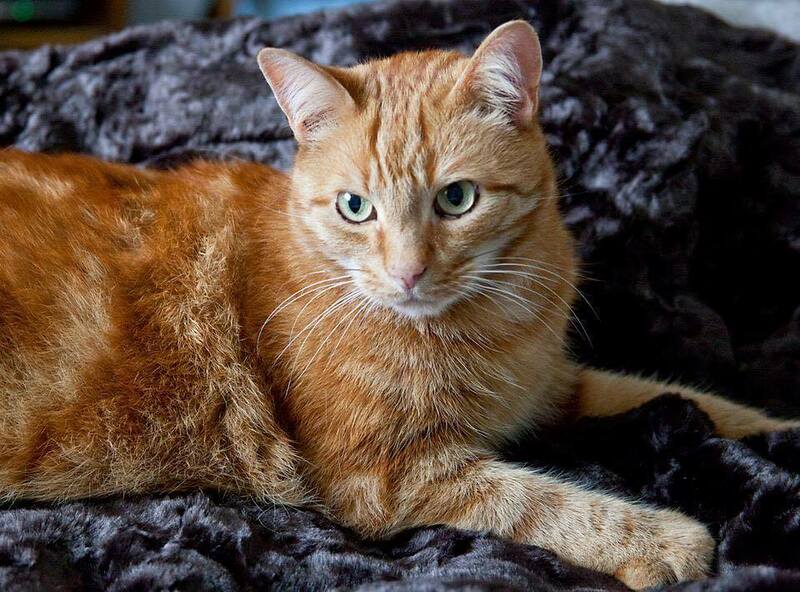 It is always nice to visit the shops and the staff but maybe most of all the people that bought and buy again our luxury blankets. This time I talked to of course dog owners, that always love the Monimo Pet Blanket but also some cat owners that loved them. I am so happy to here about this. 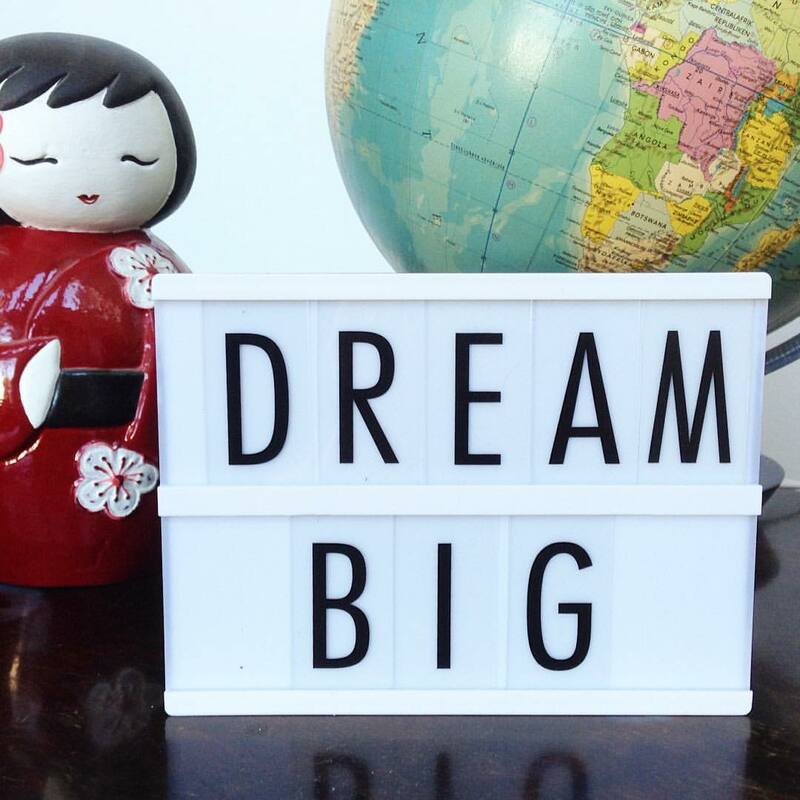 The lovely photo is taken by the english blogger Janice Issitt who has the most beautiful blogg.